Back in August 2016 I saw the predecessor to the Cats Meow Lottie and fell in love but for some daft reason I didn’t buy it. I thought I’d missed my chance when the collections changed and it vanished. I’ve had every contact I know near or passing a Kate Spade shop or outlet hunting but it wasnt to be. 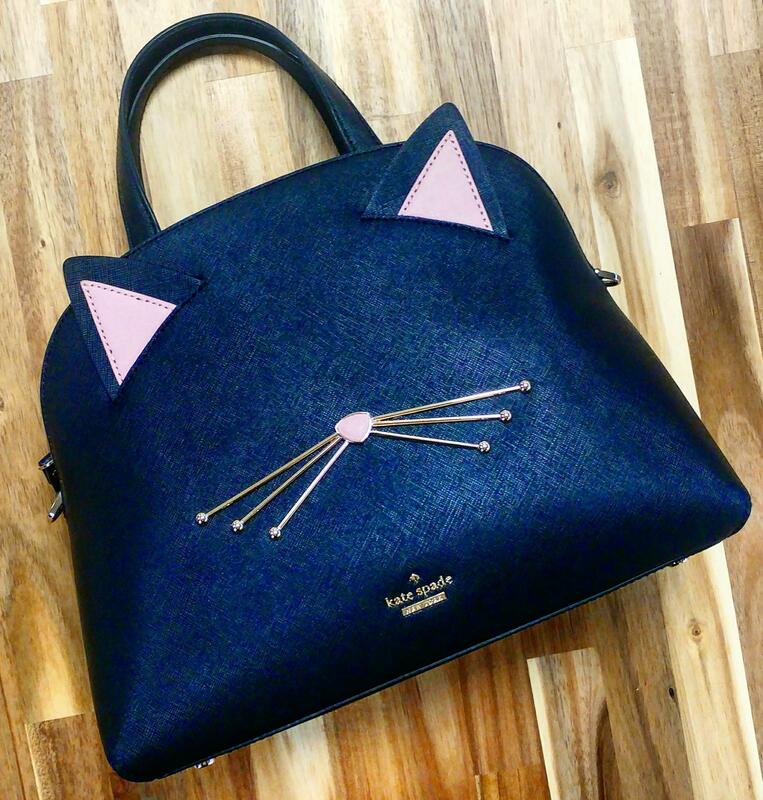 Skip forward to Christmas Day when Santa brought me the reimagined Kate Spade Cats Meow Lottie. I’m not going to lie, I actually cried a bit! The Husband did good! Thankfully the cat style had been relaunched. I’d even been lamenting right up until Christmas Eve about “the one that got away”. Made as ever to the sturdy, high standards you expect from Kate Spade. The bag is plain on the reverse so if you ever find yourself needing a bit of a low key bag you can just flip it and go. 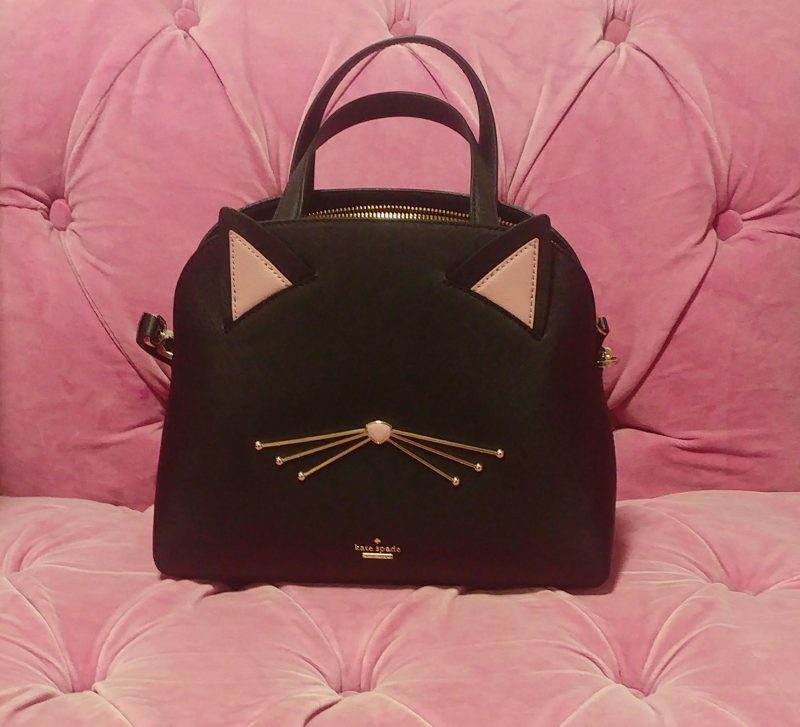 The Kate Spade Cats Meow Lottie is available as current stock here.